This post will teach you "How to apply a patch to your file" in a Windows operating system. If you are not the shell kindda user or a command prompt buff, you can use this small but effective GUI ( (Graphical User Interface) ) tool for applying patch to your Drupal files. I've noticed the various kind of errors esp in modules such as UberCart, Advanced Users and also when your web server is using a PHP 5.3.x version, and applying the "relevant patch" seems to be the only solution. Download this awesome tool here ==> http://tortoisesvn.net/downloads.html. There are 2 versions, namely the 32-bit or the 64-bit. Download and install the relevant software with respect to your Operating system (32 bit or 64 bit). You might have to restart your computer after the installation. 1. 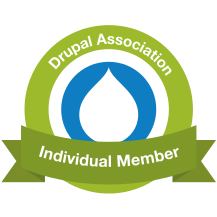 Download the relevant patch from Drupal. Click on the patch. 2. A Window will open from where you can select the folder you want to patch. Yes, the folder and not the file, (Tortoise will automatically detect the relevant file that's needed to be patched). 3. Finally go to File and Save. There is no simple or free GUI yet for us Mac users. You must still use the Mac utility called Terminal to apply patches via command line. Unfortunately, it is not as simple as you have described. Once I try to apply the patch the way you have suggested I am being told that my chosen folder "is not a working copy". If you read through Tortoise SVN documentary you probably saw that there is much more to it than just a right click and selection of the folder. It is obvious that your tutorial targets people who are unfamiliar with Tortoise program so my point is - if you create tutorial - go into details. Thank you for for taking the time to go through the blog and providing your valuable feedback. I have surely noted your point and in the future will make sure that the same is not repeated. Thanks! For me the method I sugggested above mostly did work hence didnt find a reason for alternatives... Nevertheless thank you so much for your feedback!